Fitness Background – Aileen’s passion for kickboxing began at an early age with Taekwondo. 7 years of the mental and physical challenges in the sport compelled her to push her body and compete in as many sports as possible. Once she hit the track in high school, she found the sport that came most naturally. Continuing her running career at Grand Valley State University she started to understand that her passion for wellness went beyond track, but in being able to help people, educate people, and connect on a different level. 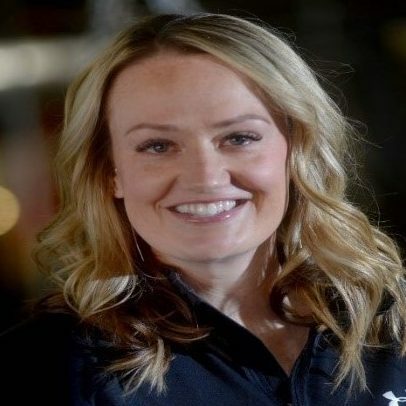 Graduating with an Exercise Science degree, she has worked as a strength coach, spin instructor, and personal trainer. Why CKO? – Aileen continues to find purpose in teaching other to push their bodies and address limits. Limits are flexible and change every day. Learning those limits, meeting them, and pushing past them is how we can evolve and better ourselves. Fitness Background – Alexandra has been strength training for the past 7 years. Her fitness career started when she was a competitive gymnast for the first 10 years of her life and transpired to a strength training focus. Both disciplines have allowed Alexandra to become knowledgeable in body mechanics, ergonomics, and the amazing strength of the human body. Why CKO? 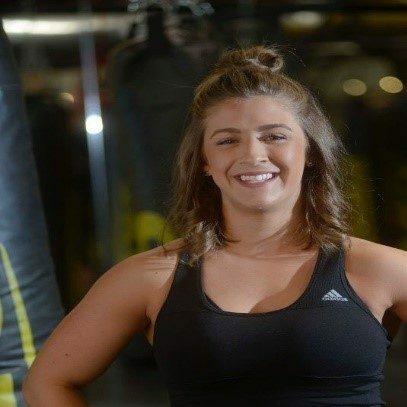 – Since Alexandra has placed a large focus on strength training, she aspired to continue to improve other aspects of her fitness; specifically, cardiovascular strength and cardio endurance. 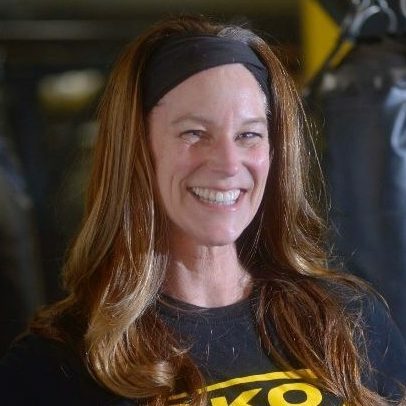 Due to her busy schedule as a full time Registered Nurse, CKOʼs HIIT training foundation was exactly the bang she needed to step up her training. The immediate results in just 1 hour to 45-minute sessions combined with the electric atmosphere at CKO was the perfect home. It’s been a match made in heaven ever since! Why CKO? I love the dynamics of group fitness, specifically CKO! Every time I leave class feeling empowered and strong. I wanted to be a part of that energy, so I started training to become a CKO trainer and never looked back. Fitness Background – Anita Joy, founder of GIG Design, has 25 years of experience as an occupational therapy practitioner and health-and-wellness coach. She is a creative-science geek who has lived and worked in 40 cities around the U.S., helping people of all ages and lifestyles achieve their desired health goals. Her approach routinely combines nutrition, musculo-skeletal, emotional and mental health to help clients achieve sustainable change. With a design portfolio that includes home and work furnishings, as well as collaborations on modified home and work environments, she can provide a holistic perspective. Anita is passionate about guiding people to become their best authentic self. She helps them define their vision and then work toward it through health-driven goals, daily activities, and behaviors. Triathlete, yogi, minimalist, researcher, student, deacon, wife, daughter, sister, aunt, friend are other roles that propel Anita’s vision to lead confidently, love compassionately and live with integrity. Why CKO? CKO Kickboxing keeps broadening improvements in my physical and mental endurance, strength, and agility. The extraordinary benefit of CKO is the supportive community. We are diverse, yet recognizably united through advancing our purpose of being physically fit and healthy together. Fitness Background – Chad has been interested in sports and fitness since he can remember. During high school he played multiple sports. Beach/sand volleyball being were his favorite. Chad was also part of the high school power-lifting team where he placed second in the national high school power-lifting championship for my weight class and age group. When he turned 30 Chad decided to participate in triathlons and running races. 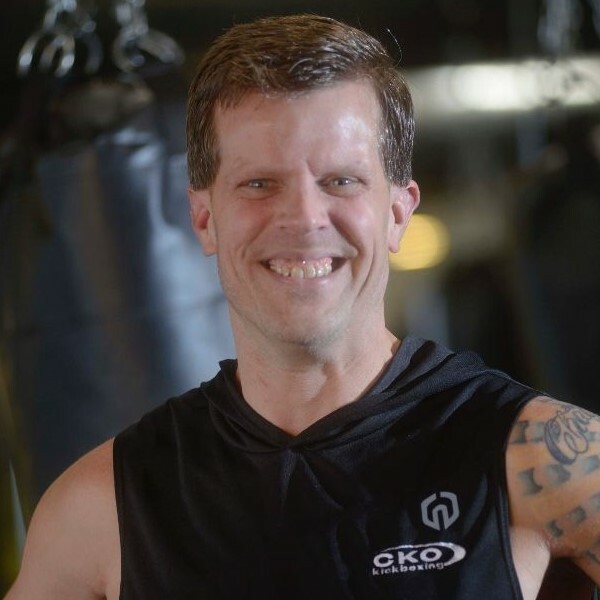 He has been teaching group fitness classes for 12+ years and kickboxing for the past 8+ years. Other passions include spending time with my wife and daughter. He also enjoys watching WWE wrestling and Formula 1 auto racing. Fitness Background – Mackenzie has always enjoyed being physically active since she was a kid. Growing up, she used to dance and played both basketball and volleyball throughout high school. In her senior year, she also started running and since then, each year, she runs in the Detroit Marathon with her dad &sisters. 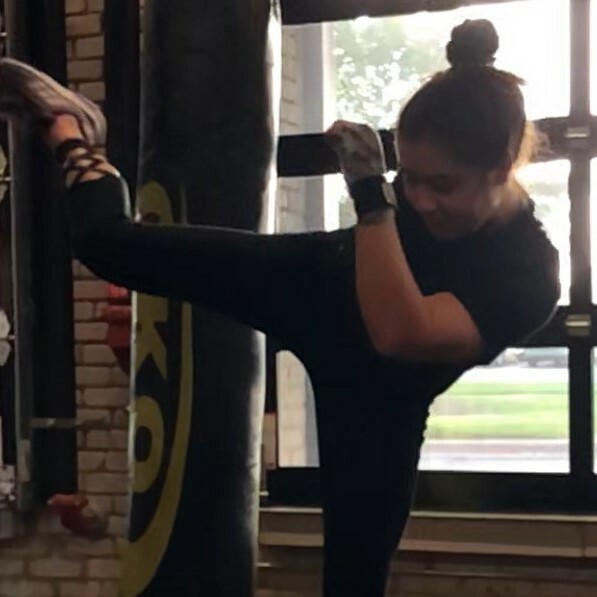 Mackenzie got involved with Fitness and Wellness at Grand Valley State University’s Rec Center, where she began instructing Group Exercise classes which included Kickboxing, Bootcamp, and Barre. 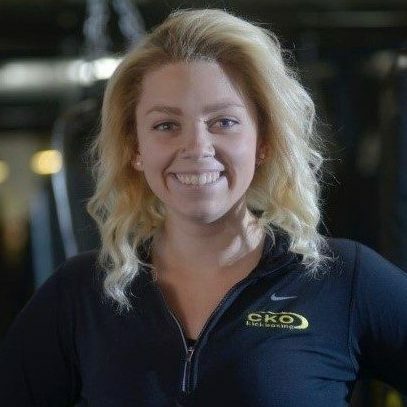 She began taking classes at CKO back in 2017 and fell in love with it. She has grown ever since and could not be happier with her fitness journey! Why CKO? – CKO is a place that has allowed me to test my limits, to push myself outside of my comfort zone, and to find pride in the work I do. I think instructing is such an incredible and rewarding opportunity to empower others on their own fitness journey. Here at CKO, we embody a culture of inclusiveness, safety, support and motivation and I am so lucky to be working with such driven individuals that help cultivate that mission. Fitness Background – I have always loved sports, from watching them to playing them. I played basketball in college at Madonna University. Competing in college sports taught me valuable life lessons. Like how to be a leader, team work and that hard work pays off. Why CKO? – I’ve always believed you should seek what sets your soul on fire. From building mental toughness, physical and emotional strength to confidence, happiness and gym friendships, CKO is what sets my soul on fire. Fun Facts – My first college degree is a Bachelor of Science in Criminal Justice. My 2nd college degree is a Bachelor of Science in Nursing. I am currently a Registered Nurse and work in the Emergency Department. I love the Detroit Tigers, Denver Broncos, Michigan State Spartans, outdoor concerts and my puppies Lucy and Izzy. Why CKO – As a previous member who transition into an instructor, I loved the sense of community we have as a studio! Any given day you can walk into the studio and find a familiar face that genuinely cares about you, I was striving to find a fitness facility that provided a sense of family along with a good workout and CKO was the perfect place for that. I moved to the instructor team to reciprocate the sense of compassion the instructors provided me when I first joined. Fitness Background – Nicole is a high-energy instructor who believes in the power of music to help you regulate and maintain an exercise pace and regimen. This is why her classes are focused on helping you improve your cardiovascular health while building strength and muscle endurance- all designed around a rhythmic tempo and killer playlists. 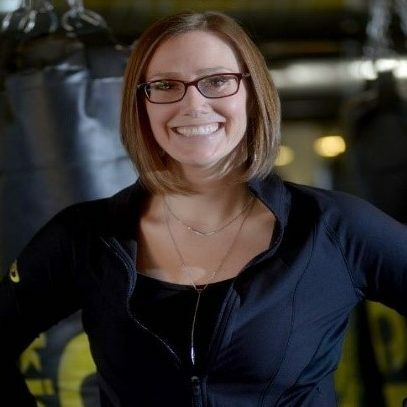 Ten plus years leading group fitness classes at various gyms throughout Grand Rapids has provided Nicole with experience in a variety of settings. She has taught a range of classes including Zumba, Yoga, Kickboxing, HIIT and Strength Training. By day, Nicole is a Graphic Designer with a BA in Business Marketing from Grand Valley State University. She is co-owner of Santiago Properties LLC, a Real Estate team that she enjoys running with her business and life partner, Santiago. In addition, she helps other brands and business owners put their best foot forward by designing ads and marketing pieces that are both beautiful and smart. 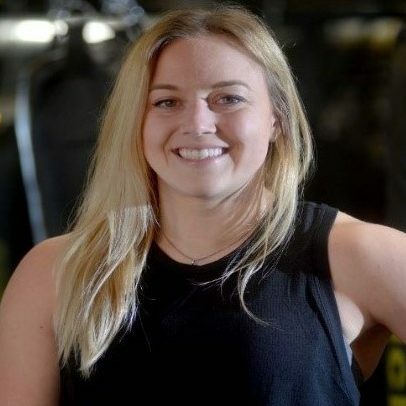 Fitness Background – Sadie Morway is a locally grown West Michigan native, athletic trainer, small business owner, and instructor. Her mission is to cultivate an innovative an effective culture of professional care by means of awareness, education, and engagement. Her vision is a world where acts of self-care, openness, and mindfulness are practiced regularly. She obtained her Bachelor’s and Master’s in West Michigan through GVSU and WMU. When she’s not at music festivals, with friends, cooking, boxing, or at happy hour, she is working toward her Doctorate in Athletic Training through Indiana State University. With over 10 years of experience in orthopedics, injury prevention, diet and self-care she’s proud to promote lifestyles of growth, enjoyment, and gratefulness to her clients. Fun fact, she can hold her breath for over 3 minutes! Once. Why CKO? For me, this community has provided an opportunity to excel, to challenge myself, and to create a passionate lifestyle specific to my journey! Fitness Background – Sarah fell in love with group fitness back in 2010 with a program called BodyCombat. It was love at first hook! Since then she has transitioned from air kickboxing to the heavy bag and has not looked back. Her favorite thing about instructing is seeing the smiles on the participants’ faces and engaging with them during class. Sarah’s goal is to make sure you leave the studio happier, healthier, and stronger than you walked. Fun facts about Sarah – She works in IT as a Quality Assurance Analyst, loves pizza (probably a little too much), can be caught drinking hot water like it’s her job, her favorite music to play in class is Shinedown, she has a twin sister, and has no sense of smell (crazy, right?!). A few Sarah slogans are: “OMGAmazing”, “SOO Good”, and “Absolutely”. Why CKO? 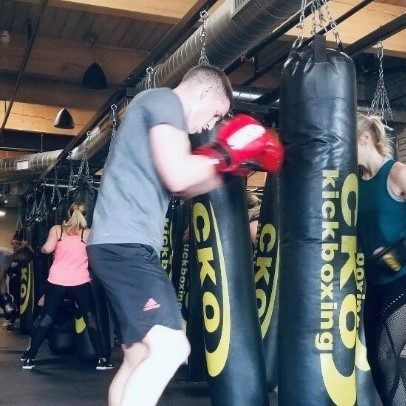 Sarah started as a member at the downtown location and couldn’t get enough of the heavy bag work. She believes there is nothing better than losing yourself in the workout and putting in work on the bag! In addition, Sarah loves the family atmosphere surrounding CKO South – she can’t walk into the studio without smiling! 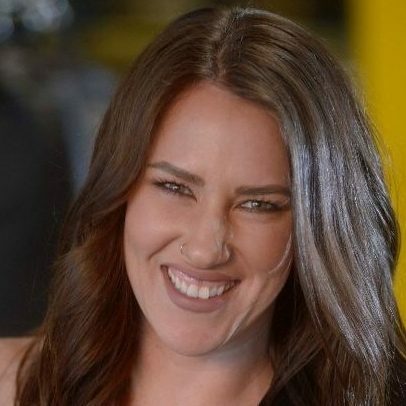 Shelby Reno is owner of CKO’s downtown studio and co-owner of the South location. 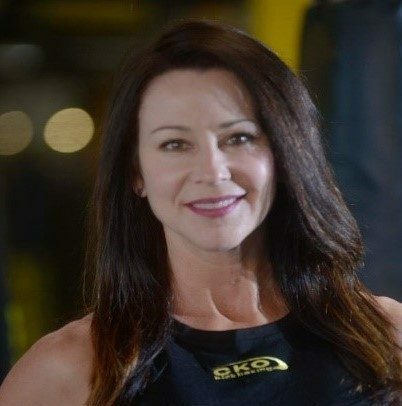 She has been a fitness trainer since 1997 and holds several nationally recognized certifications in fitness and marketing—most noteworthy include Cooper Institute for Corporate Wellness Group Exercise, Mad Dogg Athletics/Spinning, Tabata Bootcamp, and CKO Train the Trainer. Formal degrees include an MBA from Lawrence Technological University, a graduate degree in banking from University of Wisconsin-Madison, and a BA from Boise State University. Shelby has spent most of her career in marketing management and has led multi-million-dollar marketing programs in the banking, shopping center, and transportation sectors. She currently works in commercial real estate at Bradley Co.
Shelby is active in her community, recently completing four years on the Cascade Community Foundation Board of Directors and is currently a Grand Rapids Public Museum Board of Trustee. She enjoys raising four daughters with husband Dan, guiding people on their fitness journeys, attending music shows, and spoiling her silver Lab Retriever. Fitness Background – Tony is the new fitness manager for both CKOGR locations! Tony has been a trainer at CKO since opening in 2016 and has over 12 years’ experience working in the fitness industry. 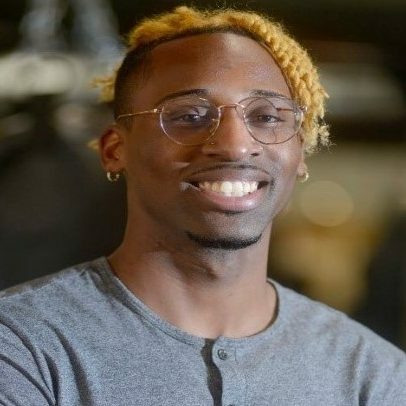 He’ll be taking the personal training program, the customer service experience, and studio team management to the next level. Tony specializes in pad training, small group training, and functional training, and loves helping his clients achieving their health and fitness goals. Why CKO? The energy, environment, and most importantly the people. Our staff and members are what help motivate me every day, plus there is no better workout out there!